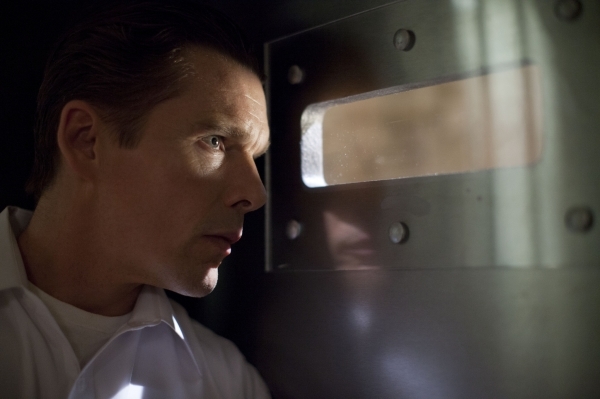 Opening August 30, 2013 in the USA and October 4, 2013 in the UK, “Getaway” follows Brent Magna (played by Ethan Hawke) is forced to follow orders of a mysterious man who has kidnapped his wife. As a former race car driver, he is told that he is going to have to race or else he will never see his wife again. Directed by Courtney Solomon, the movie stars Ethan Hawke, Selena Gomez, Jon Voight and is rated PG-13 for intense action, violence and mayhem throughout, some rude gestures, and language. With a budget of $18 Million, the movie is not going to have to do much to make that up. The film is distributed by After Dark Films and is getting positive reviews for their stunts. Fans of sports cars and fast paced action films are screaming over the fact that they are going to be excited by what they see. However, some feel that Selena Gomez is only going to slow the movie down. Are you going to catch the movie when it comes out to theaters?